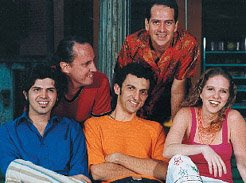 Rabo de Lagartixa (- which means 'gecko's tail' in English) was formed in 1993, the group consists of Daniela Spielmann (soprano sax), Jayme Vignoli or Alessandro Valente (cavaquinho), Marcello Gonçalves (7 string guitar), Alexandre Brasil (acoustic bass) and Beto Cazes (percussion). 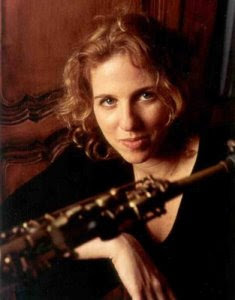 According to the notes at Daniela Spielmann's web, "The name of the group refers to the desire to create music that doesn’t sumbit itself to the standardization of the masses — you can cut off the tail of the gecko, but it will just grow back — and the rhythmic pulse of the group — the gecko’s tail continues to swing even after you cut it off". 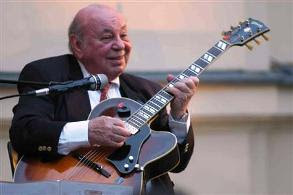 - The idea is to play choro in many different ways, taking advantage of the variations. Their first cd from 1998, 'Rabo de Lagartixa', is a splendid example of the group's repertoire in this choro novo style, click on picture below to learn about the contents of the cd. You have an opportunity to watch a lengthy extract of a live concert performance by Rabo de Lagartixa from the group's US tour in 2002, follow the links in the video menu at Daniela Spielmann's website. - Below I insert another live recording from Brazil, a performance of one of the tunes on the mentioned cd, "Melodia Sentimental"
in our region and had arrived just the day before after driving 10 hours in their car from Zeeland up here. They have rented a small cottage in Als and are planning to explore this area comming 10 day with a break of three days for a trip to Copenhagen. Later this week I'll accompany them for a short trip to Ribe, the oldest town in Scandinavia. We'll visit the Viking museum there and have a view of the city. Hans and Corrie are really nice people and close friends, and it was so good to see them again. They had presents with them for us - take a look at the treasure box of carefully chosen Dutch sweets and other delights! We hardly know how to say thank you for this. Hans also had this wonderful poster by R. Crumb with him as a special gift for me - he even helped had it hanging on the wall! I'm proud to be a co-editor of the keepswinging-blog and I'm happy to have the opportunity to post some entries at the blog while Hans is taking a break from his daily duties and enjoying his holidays together with Corrie. "The Beau Hunks? The best to come from Holland since tulips! ", someone said in an interview. Perhaps this sounds overexacterated, but maybe Dutch people always look so happy like Hans and Corrie on the picture above, because they have The Beau Hunks as part of their national identity. Anyway - Smile! Ever since I first heard Jelly Roll Morton playing the piano, I fell in love with the New Orleans piano tradition - a mix of blues, ragtime and the Spanish tinge as reported by Mr. Jelly through his extensive lectures on the early tradition. However, although Morton was one of the first to record this music (- his famous solo recordings for Gennett in 1923-24), he was not the last 'professor' of the keyboard from New Orleans. Below I'll insert three videos of renown followers of the New Orleans piano tradition. The first video features Professor Longhair performing his own "Tipitina"
in the late 1960s and early 1970s, with music that combined New Orleans-style rhythm and blues with psychedelic rock and elaborate stage shows that bordered on voodoo religious ceremonies, including elaborate costumes and headdress. James Booker (1939-1983) was also influenced by Professor Longhair and explored a variety of popular songs, ranging from jazz standards to rock. Rather than playing tunes in their original idioms, he integrated this repertoire into a virtuosic style that combined elements of blues, boogie-woogie, gospel, stride, latin, and classical piano. Enjoy a performance of his own composition, "Pixie"
While your regular editor of the Keepswinging blog is taking a break and spending his holidays walking the hills and dales of Southern Jutland together with his wife, I have promissed to maintain the daily feeding of the always hungry jazz cats at this spot. 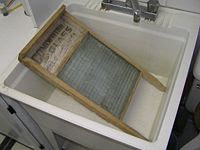 I'll keep it clean, so I need a washtub and a washboard, no, actually a washboard band to let it keep swinging, right? This great music was performed by The Washboard Rhythm Kings, c.1930, amazing to notice the band making so much hot stuff at ease. 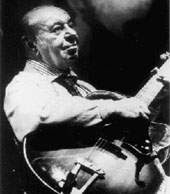 The same impression comes to mind when listening to most of the recorded output by the Washboard Rhythm Kings. 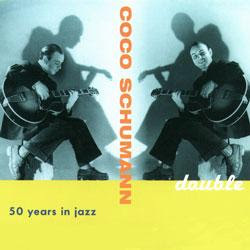 According to Scott Yanow in AMG, "The Washboard Rhythm Kings (which had different personnel on each session) played jubilant jazz that defied the soothing musical trend of the early Depression years, featuring a washboard player and usually a couple of horns along with spirited group vocals. The emphasis was on basic goodtime music that fell between Dixieland and swing. It debuted as the Alabama Washboard Stompers in 1930, became the Washboard Rhythm Kings in 1931, and by 1934-1935 was known as the Georgia Washboard Stompers. Some of the personnel have never been identified, but among the known players are guitarist Teddy Bunn; trumpeters Taft Jordan and Valaida Snow; singer Leo Watson; and such regulars as singer Jake Fenderson, Steve Washington on banjo and vocals, and Ben Smith on clarinet and alto." Washboard bands became very popular during the 1930s and the washboard had a revival through various dixieland and skiffle groups in the 1950s. I like the original bands, here is a filmed sequence of another popular group of the 1930s, the Washboard Serenaders performing a medley of "Dark Eyes & St.Louis Blues"
Perhaps you don't need a whole washboard band to keep it clean - and swinging. The one-man-band could reach for a rubbed off version of "Tiger Rag"
Janet Klein and her Parlor Boys surprised me with their perfect performances that revive the early Twentieth Century, with the Ragtime and vaudevillle songs made in popular in the 1910s and 1920s. Her clothes, her performance, her voice, her hair dress even her website (!) seem to come directly from that period. Up to now she made five CDs with ca. 110 known and unknown tunes from that period. She is still searching for new finds to use in her shows. Sometimes people are a bit shocked, when they realize that their grandparents must have listened to such "naughty" songs: I have moments, when I'm singing that I'm shocking people. They realize that these songs are naught and they think, gee I didn't know that grandma and grandpa were hearing things like that back then. Like the Bratislava Hot Serenaders, Janet Klein and her Parlor Boys make great video clips to promote their music - clips made in a way as if they were filmed many years ago as an early sound film. Enjoy their version of Yiddish Hula Boy. Up to know I haven't heard any of her albums and I love to. Her music is original, lively, comic and historical interesting. I found a ukulele classic, titeled Tonight You Belong To Me she plays in a karaoke version avant la lettre, better known as the Screen Songs, the Bouncing Ball films made by Max Fleischer. I will talk about these great films later, I promise. This small fragment was released as a small extra to the first DVD release of The Jerk—The 26th Anniversary Edition. Martin Ackermann pointed me to this building that he found in Cuba. He wondered if this man was an Oscar Aleman fan too. Well, I guess, I know....... This man is a smart businissman who is ready for 2009, the Oscar Aleman Jubilee Year, in which people worldwide celebrate Oscar Aleman's one hunderdth birthday. I guess he will sell baseball caps, T-shirts, badgets and apron strings. I'm sure it will become a hype: with your apron strings behind the oven like Oscar Aleman ..... A new hype is born !! Janet Klein and her Parlor Boys verrasten me met hun perfecte optredens, kleding en repertoire keus waarmee ze de populaire ragtime- en vaudeville optredens uit het begin van de twintigste eeuw doen herleven. Tot op heden heb ik geen enkele CD van haar gehoord, maar ik hoop dat daar verandering in komt. Haar muziek is origineel, levendig, komisch en historisch interessant. Ik vond een ukulele klassieker: Tonight You Belong To Me dat ze als een soort karaoke-versie avant la lettre uitvoert, of zoals ze dat toen deden, als een Bouncing Ball film, een Screen- of Carsongs, zoals die gemaakt werden door Max Fleischer. Bouncing Ball .... ook zo'n onderwerp waar ik binenkort nog wel eens in wil duiken. The John Marshall Quintet album Theme Of No Repeat contains 11 tracks played by the John Marshall-Ferdinand Povel Quintet, featuring John Marshall on trumpet, Ferdinand Povel on the tenor saxophone, Tardo Hammer at the piano, John Goldsby on bass and Doug Sides on drums. It was recorded as a small tribute, as John says in the liner notes, to the giants of this music who I never knew, like Bird and Bud, and those who I was fortunate enough to know a little and play with, like Dizzy and Sonny Stitt. This band was founded in 2000 as a studio band with both US as European musicians, he had met since moving to Europe, where he became a member of the WDR Big Band. Ferdinand Povel, the great Dutch saxophone player who has made a great career in all kinds of orchestras all through Europe, was invited to participate on this record. The piano player Tardo Hammer is from New York and a true jazz veteran, as John labels him: a total teamplayer and his way to play lifts and energizes the entire group. The bass player is John Goldsby, like John Marshall, an American musician that found a new home in Europe. The drummer, Doug Sides also lives in Germany now and I heard him to accompany Roberta Gambarini last year in a concert at the Porgy en Bess Jazz Club in Terneuzen, in the southwest part of The Netherlands. If you live in the southern part of The Netherlands or in the Northern half of Belgium this weekend, you're a lucky guy, as this quintet will perform at De Werf in Bruges ( Belgium) on the 26th of April 2008. All information at their website. Today, the 23rd of April 2008, I received the sad message that Fred "Cigar" Canté passed away in his residence in Midden-Beemster in the western part of The Netherlands. We had contact by mail just once, on the 6th of June 1972. A month ago I remembered his letter in a contribution at my Keep Swinging Web Log Rollins Come Back, unknown from the fact that he was very ill.
Ferdinand Povel, de grote Nederlandse saxofonist, die in ontelbare orkesten gespeeld heeft, overal in Europa, werd uitgenodigd te spelen voor deze plaat. De pianist Tardo Hammer komt uit New York en is een echte oudgediende; een teamplayer, zoals John hem omschrijft: his way to play lifts and energizes the entire group. (= De manier waarop hij speelt tilt de hele groep naar een hoger plan). De bassist is John Goldsby, net als John Marshall een Amerikaan die in Europa zijn nieuwe vaderland vond. Doug Sides, de slagwerker, woont tegenwoordig ook in Duitsland en ik hoorde deze gigant op het slagwerk bij Roberta Gambarini, tijdens haar laatste concert in de Porgy en Bess Jazzclub in Terneuzen. Deze plaat bevat hard bop, gespeeld op een manier, die je maar zelden meer tegenkomt. Begin dit jaar mocht ik dat zelf live aanschouwen tijdens hun optreden in de Porgy en Bess Jazz club in Terneuzen en tijdens dit concert kocht een LP, getiteld the Bopera House en deze Organic CD, die me herinnert aan dit schitterende concert. Als je trouwens in het zuiden van Nederland woont of in België bent dezer dagen ben je een bofkont, want dit weekend is deze schitterende groep te beluisteren in De Werf in Brugge. ( 26 April 2008). Je vindt alle informatie op hun website. Gisteren, 23 april 2008, ontving ik het droeve bericht dat Fred "Cigar" Canté in Midden-Beemster overleden is. We hadden slechts één keer briefcontact op 6 juni 1972. Een maand geleden herinnerde ik hem in mijn weblog, getiteld "Sonnymoon For All", niet wetende dat hij zo ziek was. There has been a jazz festival in Middelburg for years, with bands that played in the more traditional jazz styles, but the festival attendance was declining and the bands, walking through the streets of the city, gave the festival and the jazz music a rather out-of-date impression being a kind of music that went out long ago. The organisation of the International Jazz Festival wants to show the people of Zeeland, that jazz is still alive and has more aspects then straw heads alone. It is a pleasure to learn that the festival concentrates now on the contemporaty jazz styles too, with musicians that are popular to a growing audience. Today I love to introduce you to some of the great names in modern jazz that will perform in the innercourt of the abbey - tomorrow I wil introduce you to the more classic jazz bands. On Saturday evening, the 10th of May 2008 one can enjoy two concerts at the innercourt of the abbey: The first one is with Bobby Previte's New Bumb, a talked-about band featuring the New York drummer Bobby Previte as leader. He is in Europe for a ten-days-tour with his quartet that ends in Middelburg. The members of the New Bumb are Ellery Eskelin on tenor saxophone, Bill Ware on vibraphone, Brad Jones on bass and Bobby Previte on drums. The legendary Archie Shepp will be the second one for that evening that will perform on the cozy innercourt of the abbey. 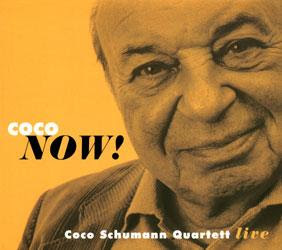 This man is really a legend in jazz, who launched the free jazz, but was inspired in his music by great saxophone players like Coleman Hawkins. He is known for his fight for equal rights for the blacks, as presented by Malcolm X. He will visit Middelburg with his quintet, featuring himself on the tenor saxophone, Frank Lacy on trombone, Tom McClung at the piano, Wayne Dockery on bass and Steven McCraven on drums. Frank Lacy was part of Roy Hargrove's Crisol Band who visited Porgy en Bess in Terneuzen, ten years ago ( November 1997). There are more great names: What to think about our own Eric Vloeimans with his Gatecrash Quartet, that will bring electronic jazz, or Maceo Parker, the King of Funk, who will close the festival on Monday or the popular E.S.T., the Esbjörn Svensson Trio that will perform on Sunday evening. These musicians, from the far North, are one of the most renewing groups in jazz nowadays and worth to plan a visit. You can find more info at their website. Op zaterdagavond, 10 mei 2008 zijn er op het abdijplein twee concerten. Het eerste is met Bobby Previte's New Bumb, een spraakmakende groep rondom de New Yorkse drummer en bandleider Bobby Previte. Hij is in Europa met zijn kwartet voor een korte, tiendaagse tour, waarvan Middelburg één van zijn laatste haltes is. De leden van de New Bumb zijn Ellery Eskelin op tenorsax, Bill Ware op vibrafoon, Brad Jones op bas en Bobby Previte op slagwerk. De legendarisch saxofonist Archie Shepp zal als tweede aantreden die avond op het sfeervolle abdijplein. 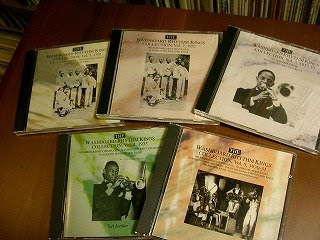 Deze man is echt een legende in de jazz: hij was één van de eersten die free-jazz ging spelen, maar was in zijn saxofoonspel geinspireerd door niemand minder dan Coleman Hawkins. Hij was, behalve een energieke saxofonist, ook een fanatieke Malcolm X. aanhanger, die streedt voor de rechten van de zwarte Amerikaan. In Middelburg treedt hij aan met zijn kwintet, met daarin hemzelf op tenorsax, Frank Lacy op trombone, Tom McClung aan de piano, Wayne Dockery op bas en Steven McCraven op slagwerk. Frank Lacy speelde ruim tien jaar geleden ook mee in Roy Hargrove's Crisol Band, toen die in november 1997 Porgy en Bess in Terneuzen bezocht. Er spelen nog meer grote namen in Middelburg. Wat te denken van onze eigen Eric Vloeimans met zijn Gatecrash Quartet, dat zich vooral concentreert op de electronische jazz, of Maceo Parker, weer zo'n legende, The King of Funk, die het festival maandagmiddag zal afsluiten. Ook het momenteel populaire trio E.S.T., het Esbjörn Svensson Trio zal zondagavond optreden. Deze musici uit het hoge noorden brengen vooral een vernieuwende vorm van hedendaagse jazz; de moeite waard om te gaan beluisteren. Je vindt alle informatie over de band en optredens op de website van het International Jazz Festival Middelburg. Een paar weken geleden liet ik een stukje zien van een korte Pathe film uit 1930 met daarop de Noble Sissle Band. Ik was benieuwd naar de bezetting en dankzij Mark Cantor, die doorgaat voor één van 's werelds grootste jazzfilm archivisten, kunnen we nu zijn gezichtspunten op de film laten lezen.